As a whole I find Black Friday rather disappointing as there doesnt tend to be many good discounts in the UK. However the one exception is books and the Black Friday to Cyber Monday weekend is always the best time of the year to get some amazing discounts on devices, offers on paperbacks, and a spate of free and cheap ebooks. Black Friday is always the best time of the year to get Amazon devices as they do pretty decent discounts. I've included only the bookish deals below but prices have also been slashed on Echo's and a Fire TV Stick. Waterstones - Half Price in bestseller 'Great Books' and Under £10 'Beautiful Books' Many big sellers such as Bad Dad, The Essex Serpent and The Book Of Dust are included in this. The Book People - Prices slashed even further than usual There's no exact details on savings, but it is always worth checking out TBP as they permanently have good deals on the books they stock, particularly boxsets. Currently you can get the Harry Potter paperback boxset for only £26 which is less than half price of the rrp! The Book Depository - Extra 10% off! This looks like the 10% is off everything (including on top of other deals). You just need to use the coupon code BF10 at the checkout. There are also further discounts on selected bestsellers. 25% Off 'How To Get An Agent' class with Juliet Mushens. Use SALE25 at checkout for the discount - valid until Monday. This is always a great weekend for massive ebook discounts! I'll add to this list over the weekend as I find deals. Are you an author (or a big fan of a book)? Let me know of your Black Friday deals! In October, my all-time favourite author Brandon Sanderson visited the UK to promote the release of his latest book Shadows Of Self. During that time not only was I lucky enough to hear him talk at GolanczFest2015 and get several books signed, but I was also offered the opportunity to interview him in person at the beautiful Hachette offices in central London. For anyone who hasn't heard of Brandon Sanderson, he is a bestselling and award winning author of fantasy novels such as The Final Empire and The Way Of Kings and was chosen to complete Robert Jordan's The Wheel Of Time series after his untimely passing. Brandon also teaches some creative writing classes and runs the amazing podcast "Writing Excuses". So one grey Monday morning I headed off down to the banks of the Thames for an experience I would never have dreamed possible. Armed with my trusty phone (previous experience has shown me to never rely on a Tascam for audio recordings) I managed not to fangirl too much whilst being introduced to Brandon before settling down to chat about his books. And by chat I mean that I mainly sat in awe completely enraptured by what he was saying whilst managing to occasionally squeak out some questions. The below interview is entirely spoiler free as I wanted it to be something that everyone could enjoy regardless of which books they had read previously. So if you want to learn more about Brandon Sanderson's books, why he does what he does and much more then please read on. So, in your books, you always make up your own magic systems, your own creatures rather than sticking to more traditional fantasy element. You don’t just stick to dragons or traditional magicians and other things that already exist. So why do you choose to make everything up yourself rather than making it easier and going with what has already been created, and where do you get all the different ideas from? 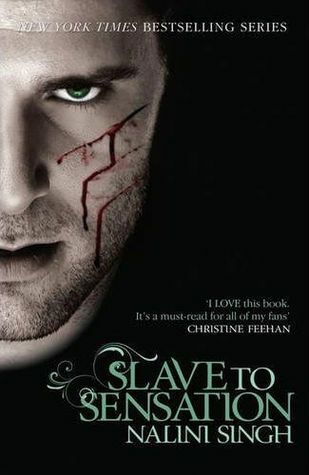 I love a big fantasy – epic fantasy. I discovered it when I was a teenager and it changed my life, and I just absolutely love the genre. I’ve read a tonne in the genre. And I have – I’m also an academic – I have a Master’s degree in English – and I’m very interested in the history of the genre and things like this. As a reader, I noticed I was getting a little bit bored. Particularly during the late nineties, with reading the same thing over and over. And it’s this problem that we come to fantasy as a genre because we want to discover something new; it’s about the sense of wonder and exploration, and the first books for a reader often are just very mind-blowing. They open our perspective up; they let us look at something very different from what we’ve seen before. But then if we read that too much more, we start to get – you know, we lose that sense. And certainly there are cool things about what’s familiar as well. We like returning to characters and things like that, but I think that the genre got potentially just stuck in a little bit of a rut. I think that what Grandpa Tolkien did was so revolutionary that we spent two decades as a collective genre kind of responding to Tolkien, and when my generation came along (you see I’m not the only one doing this, it’s kind of a movement of the whole generation I think) we’re responding to that. We’re saying, ok, we’ve explored this; we’ve explored what Orcs are and what dwarves are, and things like this. Instead of taking Tolkien’s world and doing something else in it, let’s step back and say “What did he actually do in creating all of this, and can we replicate that process, rather than just replicating the result?”. And this was a big motivation for me to start writing. I wanted to do something new. I feel like the fantasy genre should be the most incredible and amazing and different genre out there. It’s the genre where we can do anything. Even, to an extent, science fiction is bounded more than fantasy is, and so why not explore some different directions. Science fiction’s been doing this for years – for decades – taking us to very different locales, and I wanted to bring a little bit more of this to fantasy. Certainly there are other people who are doing this – China Mieville is a great example, and Brent Weeks and NK Jemisin. It’s a whole generation of us that are going in obviously different directions, we’re not doing the same thing but we’re all kind of responding and saying “What can we do that’s new?” And this is what excites me; this is what makes me really love the writing process, is going to these new places. Where do I get my inspirations? They’re all over the place – people I meet, articles I read. A lot of my inspiration comes from reading a story or watching a film and saying “Wow – they handled this one part of it really poorly. Can I write a story that takes that idea and goes the right direction?” Conversely, you know I watch something like – one of my favourite movies ever is Sneakers – it’s this old heist film with Robert Redford and it’s delightful – and I think “Can I write a story that’s a heist story in a fantasy world?”, taking something I love and mixing it with something else I love. You see me doing that a lot as well. I kind of like just taking multiple things I love and sticking them in a brew and shaking them up and seeing what pops out. You mentioned before a couple of authors that do similar things, such as Brent Weeks, who's books I adore. Who are your favourite authors and what are your favourite stories that do similar things to what you do? To what I do? You see that’s kinda hard, because a lot of my favourite stories are doing things that I’m not doing, that were just really revolutionary in helping me see fantasy in a new way. My favourite fantasy novel, favourite standalone novel, is probably “Tigana” by Guy Gavriel Kay, just because it’s one of those books I read where the narrative mixing with the magic mixing with the cultures is done in such a perfect way. But approaching what Guy does is not something many people can do, and I wouldn’t even say – I wouldn’t dare to say – I’m doing the same thing. Certainly some of the things that he does, I’ve said “Wow! I would like to incorporate that in my writing.” I would say right now the writers closest to me are Brent Weeks and Brian McClellan. They would be the most similar to what I’m doing – but I read very widely, and I mean I’ve read Naomi Novick’s “Uprooted” this summer and it’s fantastic, if you haven’t read that. I mentioned earlier Nora Jemisin. I’m a big fan of her work – it’s very literary, very different from what I do. She approaches fantasy from a literary viewpoint – very Ursula Le Guin style, playing with perspective and viewpoint and narrative in really fascinating ways. So I have enormous respect for her and a lot of those people. The people who got me into fantasy were Barbara Hambly, Anne McCaffrey and Melanie Rawn. Those were the writers that really – that I read as a youth – that really pulled me in. And then Robert Jordan started writing “The Wheel of Time” about a year after I’d gotten into fantasy, and I just absolutely fell in love with that series. He started off very Tolkienesque, and then as the series continued he took these enormous leaps in other directions. It kind of led my whole generation kind away if that makes sense, off into different waters, so to speak. In terms of a story starting off as one thing and then merging into something else, you kind of do that with Mistborn. It starts off as almost a heist rebellion series with fantastical elements, and then by the third book it’s something entirely different. Is that something that you do intentionally and want to do with all of your work? What you’re noticing there is more me writing a story; I like it when my books have a defined ending. One of my pet peeves as a reader is when I get this awesome book, but it only feels like a slice of a story rather than an entire story, so you know my goal in Mistborn was for each book to feel like, packed into it, an entire trilogy’s worth of writing. I love how each work as their own story, they all have a different feel, a different story, but then share a big overall arc and an epic adventure. One of the tricks that I used for myself in writing that was, each one would have kind of a different sub-theme and a different magic they explored, and so you know, Mistborn 1’s a heist novel. It’s a fantasy: big heading; little heading: heist novel. Book 2 is fantasy: big heading, but now it’s political intrigue. It’s the suspense; it’s who is the spy among us, and can we make the politics all work? And the third one is a war epic, again big heading: fantasy. And this is just a way, I feel, to keep a series fresh. You’ll notice - actually, something who does this very well, are the Marvel films. The Thor films are all fantasies and the Captain America film, the first one, was a war film, and the second one was an espionage film, and they each kind of had their own feel. And they just did a heist in Ant Man. It’s like they understand you can’t just give the same exact feel with every story as it will feel bland, but if you can mix it up and say, ok, this one has a slightly different feel because of this reason, it gets us some more of that blending of the familiar and the strange together. It’s just – part of why we read is that we want something familiar, but we want something strange, and everyone’s kind of threshold of what they want of those two things is different. But for me, you know, I like a healthy balance. So, one thing that’s quite a common theme in many of your books is quite a lot of them mention religion in some way, shape or form. So Mistborn has a really heavy element and quite a lot of the others as well – War Breaker very predominantly, Legion too – all of them really, to some extent. So why do you choose to tackle that? Something that can so often, for some people, almost be off-putting and can veer some people away. Why do you choose to do that and how do your own personal views reflect your writing? So, I find that what I’m fascinated by gets into my fiction. That’s just very natural. I’m not a writer who likes to seek a specific message in my writing – I like that to be a natural outgrowth of what the characters are interested in or conflicted by. But of course, what I am interested in and conflicted by spawns the characters in the first place. So, I am religious – for those who don’t know, I’m Mormon – and so I’m very fascinated by the ideas of religion, and often times, things like – you mention War Breaker – the idea of a God who didn’t believe in his own religion, was so interesting to me. That’s just my favourite element of the book. I had to, like, expand on that. What you find me doing is just trying to explore all different aspects of human experience, and throughout the history of humankind, religion has been one of our most important human experiences. And how we interface with the divine – the stories we tell ourselves, and what they mean to us, and things like this, it’s just– it’s part of human nature. And so you see me exploring this, you see me approaching it. And my goal as a writer is always to kind of try to attack things from as many directions as I can. I think the best discussions and stories and conflicts happen when you have multiple characters who are all very legitimately interesting in their own right on different sides of an idea, and so that’s what I try to do. I think you succeed there, it’s one of my favourite part of your books is that sort of religious aspect, but they don’t push a message. It’s a lot of querying, all of the characters think, they have a lot of internal debate with themselves, which is always really interesting from a readers perspective. So, one of my personal mandates is stories are about questions, not answers, and the best stories will make you think but won’t tell you how to think, and that’s just part of being human, exploring these questions. So, in terms of your writing process, how long does it generally take you to come up with the idea, craft all of the world, start drafting, because I imagine it must take a while due to the depth of your stories. Lots of small hints in the first book which turn out all along to explain exactly where the story is going. You know, there’s no rule of thumb on this. Some stories brew for decades. I can say that now because the first Stormlight book started brewing when I was 15, and I’m, you know I’m almost 40 now, so it has been brewing for decades. Other ones, you get that flash of an idea. Steelheart was like this. I had a flash of an idea and I knew there was a story there and I started working on it immediately. And there’s everything in between as well. I am a planner. I do like it when my plots all interconnect between the books. I can see things through the novels in interesting ways. That’s very important to me, just for my plotting. But the thing is, books – the core of books is not the world or the plot – the core of the books is the character. Which is this weird sort of balance because, you know, as I said, we come to fantasy in the first place because we want something – it’s the world building that draws us in, and the plot and hooks are often, you know, the things that will be the most memorable– wow! you surprised me– punched me on the side of the face– I wasn’t expecting it. but the characters are what make us keep reading. And a book with a bad world but great characters is still going to be a great book, but a book with bland characters and a great world is going to be a boring book no matter how interesting some of the concepts are. And so it’s this thing where I can plan the world as much as I want, and the plot as much as I want, but once I start writing, the characters, who they develop to be, will often require rebuilding both of these things to match, and letting the character be in charge. Which is more along the lines of– I’m not one of these people that feels like, you know, it’s all mystical. It’s more like, letting my own subconscious drive these characters in certain directions, and allowing myself the flexibility to rebuild around them is– that’s gotta be the most important thing for telling a story, I feel. So do you find that your original plan for a book might change as you’re writing the characters? It will, it will. You know, it’s rare that it changes really drastically. Most of the time – and I’m getting practiced at this now – what happens is that little things change here and there. I rebuild certain plot arcs, certain character arcs, certain themes, based on what’s developing. If the character’s just completely out of alignment with the book, that’s when I step back and say “should I just put a different character in here and save this character for a different story?” And often times I’ll cast, you know, I’ll start the first chapter of a book 3 or 4 times, looking for the right voice of the character who’s going to be the main character of that story (It’s happened with Vin in Mistborn) until I find one that matches the story that I want to tell, and then I’ll go forward with it. So how many characters did you go through to get the lead for Mistborn? I had 3 Vins. It was the third one that worked. I posted one of them on my website so that people could go read that deleted scene. One final question. Do you have a book and a character which has been your favourite to write? You know, it’s a great question. I don’t really have one. It’s like all my characters are my children, and I love them all for certain reasons, and I’m tired of them for certain reasons, and so I don’t pick favourite books or favourite characters. It’s whoever I’m writing at the moment. Thank you so much to Brandon Sanderson for doing this interview and also to all the people at Gollancz for making it happen, particularly Lucy from The Book Belle. If you have read some of Brandon's books before then I hope you found this interview as fascinating as I did and if you are new to his books then what are you waiting for! The Mistborn trilogy is my favourite, but if you would prefer a standalone novel then both Elantris and Warbreaker are incredible full-length reads. I can second many of the books that Brandon talks about in the above interview. In particular Uprooted is really quite fantastic and also has the most beautiful cover - if you live in the UK that is. Brandon's website is an amazing resource as he posts a lot about writing, has lots of deleted scenes, creates annotations to his tales so you can see what he was thinking at every moment, and even has some free reads. Following on from the original Vin deleted scene mentioned above, one of my favourite posts charts the progression of how the first chapter of The Final Empire changed from the first draft and is a fascinating read for numerous reasons. Meeting my number one favourite author was an amazing experience that perfectly rounded off my unplanned September to October reread of all of his books and I hope he comes back to the UK again in the future. 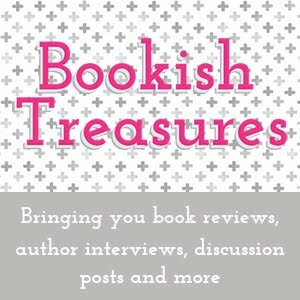 Bookish Treasures Relaunch - With Giveaway! Hello! As you have likely noticed (unless you are new here, in which case, welcome!) there have only been a few incredibly infrequent posts on Bookish Treasures for a while now. The past few months (in fact the past year +) have been very busy for me and recently culminated in completing an MA in Publishing, moving to London, and starting my first full time job at a traditional publishing company. It is incredibly exciting to now be living in the heart of bookish England and, after a few months, I have started to find my feet and get settled enough to feel like I can pick up blogging again. Things will be changing slightly from how they used to be, but expect lots of recommendations, discussion posts, reviews, and posts from both authors and other industry professionals. Coming up soon is an interview with my all time favourite author! If you want to get involved with Bookish Treasures in some way then please get in touch. Authors, assistants, publicists etc. please do read my authors/publishers page before contacting me about any potential reviews or features as my policies have changed slightly. In celebration of finally being back and blogging again, I have two giveaways that will be running for the next month, one big one for UK residents and one that is open internationally so that non UK-ers don't have to be left out. One surprise box of books and swag (mainly YA's). Now the contents are a surprise partially because I haven't decided exactly what will be included yet! However I promise that it will be awesome: think multiple books, some of which will be signed, and some fun swag. Due to shipping costs, this giveaway is open to those with a UK postal address only, however I have an international giveaway further down! One book of your choice up to a value of $10 from the book depository. Winners for both giveaways will be selected in late November and prizes will be sent out in early December. Feature Friday is a feature on Bookish Treasures that spotlights an author through either a guest post or interview so that they can share something special about their books or their path to publication. 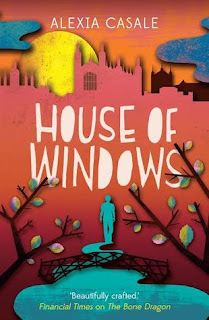 Today's feature is a guest post from author Alexia Casale whose most recent novel House Of Windows has just released. After school, I was lucky enough to get into Cambridge – the first person from my College ever to do so. It was like stepping into a book. Like living in a stately home. It was a privilege and an honour and so intensely dream-like I still can’t quite believe it happened. Whenever I go back I look up at my old Trinity Hall Front Court window and try to persuade myself that I lived there – me! It doesn’t seem possible. But that is what Cambridge I, at least in part: a leap into the past as well as into your own future. I still dream of how vividly I felt the need to hold on to the time ticking away. How deeply I felt the need to appreciate every last second. How important I knew it was not waste or squander or ignore any part of it. But life is always more than where you live, however grotty or glorious. The physical world of the University is joy in solid form: in stone and brick and earth and wood and petals and water. But it’s still the external world and no amount of beauty is enough to fill a person’s internal world, however grateful they are for what they have. That is one of the key things I wanted to capture in Nick, the protagonist of House of Windows. That and the juxtaposition of the wonder of the University buildings and grounds to its human side. Modern Cambridge University is an awkward mix of the cutting edge and the traditional. The result is a lot of out-and-out silliness: an entire language that you have no choice but to learn and use because otherwise you’re marked as an outsider – and excluded as one. It doesn’t matter if you think the whole thing is stonkingly stupid: almost everyone does. You quickly learn there’s a silent agreement that everyone will play along: that you’re in it together, being a bit ridiculous but being part of something. The thing that makes it palatable is that over-time the bigoted parts of Cambridge’s traditions are being worn away and so it’s more like a series of daft but harmless in-jokes. And it’s quite nice to know all the in-jokes at a party. Especially if you’re a lonely nerdy weirdo freak – as most people at Cambridge are. I wanted to show that Nick sees all these strange rules and traditions for what they are – but at the same time, views them with fond disdain. That’s what being a modern Cambridge student is about: donning silly robes and laughing with a bunch of other people wearing the same as you all stand about being daft together in one of the most beautiful places on earth. One of the ways these things come out is in the particular type of ‘humour’ you find at Cambridge. It’s almost always a bit too clever for its own good. And in the case of some people, it’s out and out offensive. But most of the time it’s just like everything else – a series of silly rather than truly funny in-jokes that become funny because you’re on the inside: for once, you’re party of the club. You get it. And I wanted to capture that because it is so much a part of being a member of the University. Not everyone at Cambridge is an antisocial loner, but almost everyone has had a rough time at school at some point because of their intelligence and/or academic ambition, so Cambridge is full of people who at a social level want to be part of a crowd. We’re also people who spend a lot of time being serious and studious – and often punished for it – so it’s a relief to find somewhere you be as silly as possible. It’s against this backdrop that Nick tries, and often fails, to enjoy being a student. He’s spent years hoping that at Cambridge he’ll finally find like-minded people, but it doesn’t prove easy, given that he’s still only fifteen. I expect lots of people are like Nick – like me – in looking forward to university as the place everything will fall into place, but like expectations of first love university isn’t an instant pathway to easy friendship or anything else (except alcohol). So Nick continues to find himself lonely in a crowd, an issue not helped by the fact that he has to ‘live out’ because of his age: unlike everyone else who has rooms in College (or Halls of Residence), Nick lives a mile away in a house his father has just bought as the new ‘family home’. Only they’re not much of a family so it’s not much of a home. It’s just another very nice place to spent his time. The beauty of Cambridge lifts his spirits but there’s always a melancholy edge to it not just of time fleeting, but because there’s no one to share it with. Nick’s situation may be unusual, but his feelings of hope and disappointment, joy and loneliness, are very much part of the student experience for almost everyone at some stage or another. As Nick slowly comes to see, maybe his situation as unique as he always thought. And maybe he isn’t quite so strange and different as he feels. University is a time and place for learning new things and ‘finding yourself’, but also for discovering that other people’s lives may look very different on the surface, but feelings are pretty much universal. After all, growing up is only partly about coming into our own as unique individuals: it’s also about realising we’re not as different on the inside as we often assume.